Posted 2 years ago in The7. WPML “Multilingual CMS” plugin package allows to translate your web-site content, as well as interface elements like header contact microwidgets, bottom bar copyrights, etc. You can find out how to properly configure this plugin when using The7 theme here. Moreover, since version 3.9, WPML introduced a new translation mode called – display as translated – compatible with The7 and invaluable for developers using The7 pre-built websites. It is particularly useful for The Small Store, The Store and the Book Store demos. Users can show original content if no translation is available. Users can display untranslated content without the need to duplicate it anymore. 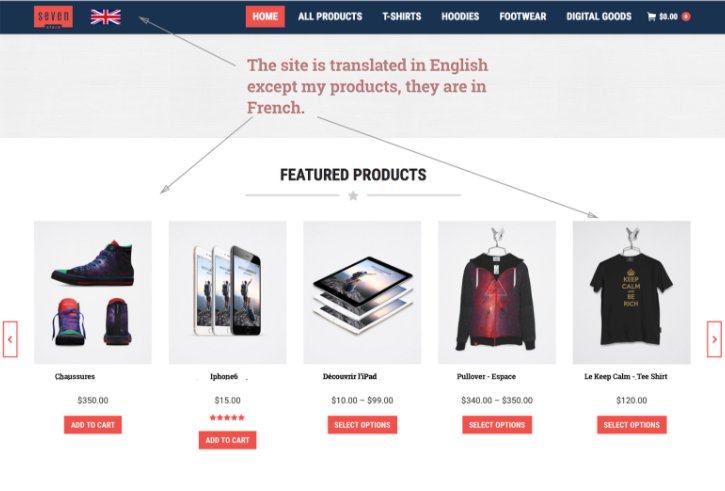 Useful for sites that don’t need to translate everything: listing, directory and membership sites as well as WooCommerce products and taxonomies. If the translation exists = it will display the translation. If the translation does not exist = it will display the post in the site default language. Go to WPML > Translation Management > Multilingual Content Setup. Scroll down to Post Types Translation. 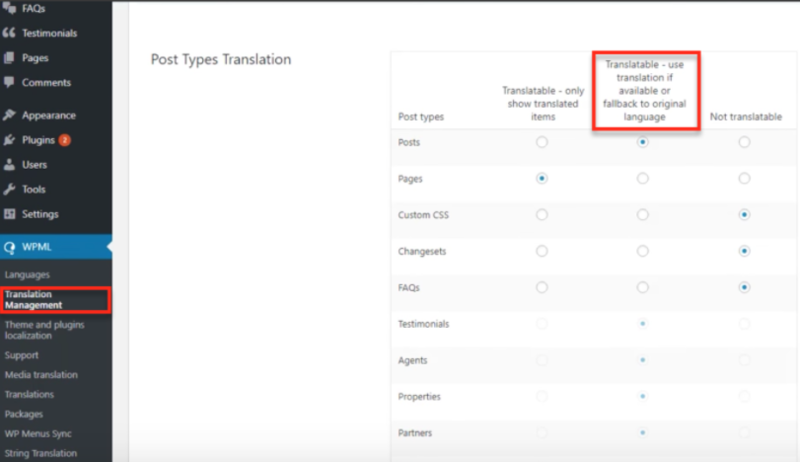 Select “Translatable – use translation if available or fallback to original language” option (fig. 2) for the post types of your choice.